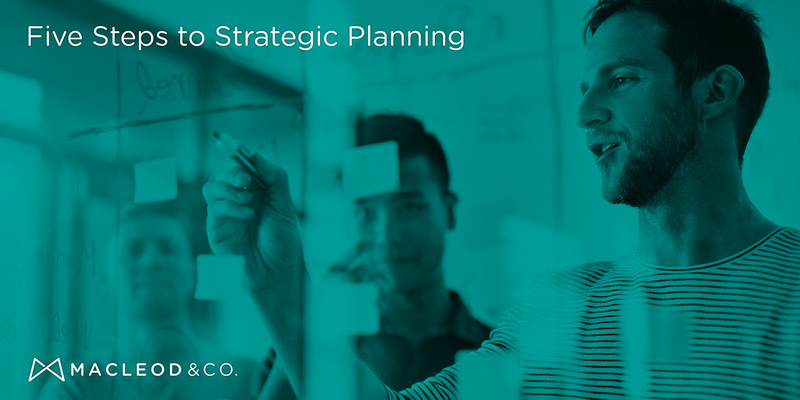 5 Steps to Strategic Planning for Startups | Macleod & Co.
It’s amazing how many companies don’t have the time or money to do it right the first time, but they always seem to be able to afford doing it over again. Strategic planning is the only way to mitigate risk at the outset and to put yourself in a position to create opportunity once you’re up and running. Even as a small business, you’ll spend hundreds of thousands of dollars getting your product or service to market. And then you’ll spend thousands more delivering it and building your business on top of it. Strategic planning today is the closest you can get to an insurance policy for tomorrow; it pays to build it into resource planning. SMART Goals are those that are Specific, Measurable, Achievable, Realistic and Time-bound. “Increase profit” isn’t useful direction. Help yourself and your team understand and remember what you’re trying to accomplish. An example SMART goal might be: We will increase sales by 40% by November 2018 and maintain a 22% margin. Test as many of your assumptions as you can. Look at your competitors. Even if you’re seasoned in your industry, we can all stand to take a step back and look at the bigger picture. Market sizing, competitive review, industry trends — this is all information you need before you launch. If/then statements are helpful when building a marketing or overall business strategy. A Strategic Framework makes it even easier. Segmentation, Targeting and Positioning are helpful, customer personas are helpful, and frameworks are also very helpful. One of the biggest marketing mistakes we see is companies who think a brand is nothing more than a logo. In this day and age, customers are seeking a connection with values. Brands have to be dimensional and stand for something. They have to have a story. Or else you are a commodity, in which case, skip to phase five! Create a plan of execution and a method of measurement. Whether you’re planning a simple billboard campaign or a full-on data-driven content marketing campaign, you need to have the clear plan of execution. You also need to have a plan for how you will measure to determine how well it performed (or didn’t). By knowing at the outset what you expect from your strategy, you can optimize it to perform — and more easily direct others to do the same. Building a culture of alignment around goals and strategy will you get off on the right foot with your start-up (or start-over). Sharing clear goals, research, strategy, branding and plans of execution will keep everyone on track and keep your organization learning and growing. If you’re having trouble getting started, check out Macleod & Co.’s flat-fee marketing strategy package, Ignition. 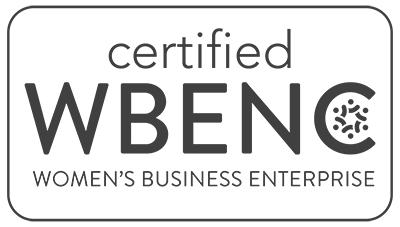 Macleod & Co. also offers a free SMART Goals Workbook designed to help guide your company through the Strategic Planning Process. Click the button below to download.